Quickly become your favorite high-flying, web-slinging, friendly neighborhood Spider-Man this Halloween with this Spider-Man Adult Mens Onesie. 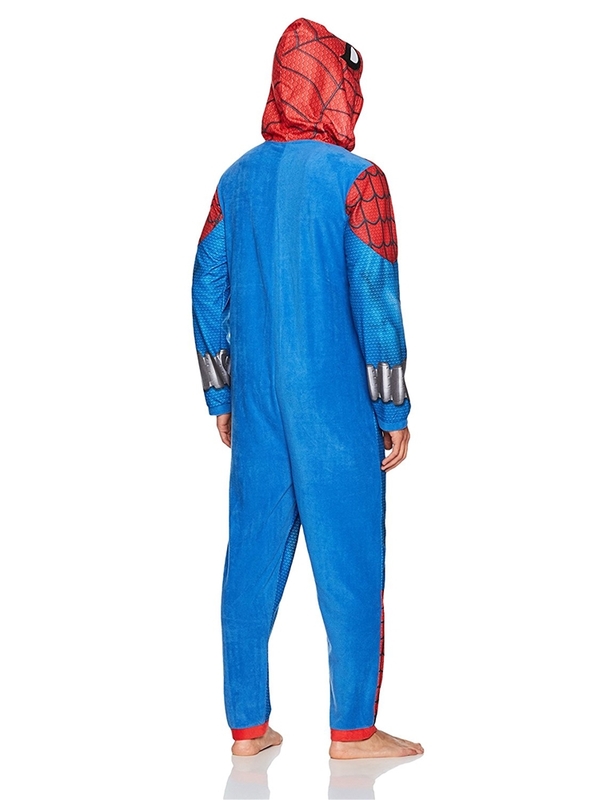 Made of 100% polyester, this adult men’s onesie is modeled after the uniform worn by Marvel superhero Spider-Man. The lightweight onesie features a front zipper closure, long sleeves, rib-knit cuffs, and an attached hood. The blue onesie is detailed with a printed red chest featuring a large black spider with outlined webs, printed gray web cartridges on the sleeves’ wrists, and large white eyes outlined in black on the hood. The entire front side of the onesie features a underlying scale pattern. 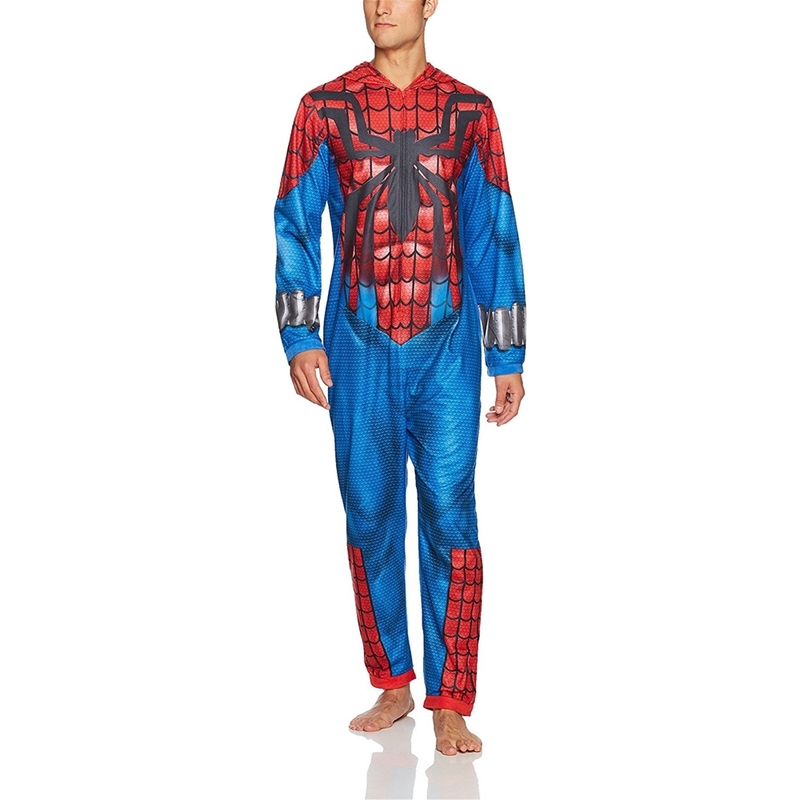 This soft and comfy onesie is terrific for web-slinging between skyscrapers or lounging around at home.